We will be the first to admit one of the more common questions we get is simply – why bother with professional Howell irrigation services? This is one of those topics that anyone who has already used professional landscaping can completely understand the benefits. But until you have done so you may not be able to see the advantages. First, think about what irrigation is meant to do for the lawn of your home or business. 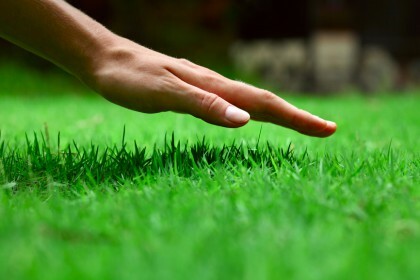 You want a lush, healthy, green look for your grass. Leaving the watering to Mother Nature is simply not an option because we all know how unpredictable she can be. So you have three options: watering with a hose, a sprinkler system or irrigation. So let’s compare these choices. One of the original methods of watering your lawn was obviously, using a hose. While some people are still dedicated to doing so they are few and far between. In fact many people who start out swearing they will be able to do it quickly realize how unrealistic this is. It is tiresome and eats up a large portion of your free time. At Rainmaker Irrigation we are more focused on taking care of the customer than upselling unnecessary services. So another option is the sprinkler system. While slightly better than you standing there with a hose it can be awfully wasteful. The handheld hose method is more exact and less wasteful the sprinkler at least does the work for you. Unfortunately, this means it causes a lot of waste where it waters the sidewalk, leads to excess runoff and misses spots which results in brown patches. So finally you have Howell irrigation services. This is by far the most exact, precise and efficient approach to use. You have less waste by far and an even green lawn. Not to mention this also is a great way to save money on water waste which is, in turn, also a more eco-friendly way to go. The main thing is to find a company you can trust to work with for your irrigation services. At Rainmaker Irrigation we are more focused on taking care of the customer than upselling unnecessary services. We will meet with you to find out more about what type of end results you want. From there we will discuss the options we have available to make that possible. And then together we can make decisions about how to achieve the yard you want for your home of business. Give it a try and you will soon see what all the fuss about Howell irrigation services really is. If you are looking for Benefits of Irrigation Services in the Howell area please give us a call at 734-564-1373 or complete our online form.